Location: Private Residence. Please email info@palchenseattle.org for details. Please see our current Events & Classes offerings. Sadhana practice involves visualization, chanting a Tibetan or English liturgy and reciting Buddhist mantras. It is a means of identifying ourselves with our inherent buddha nature, our basic goodness and benevolent intention, while reducing our obsession with self-fixation. 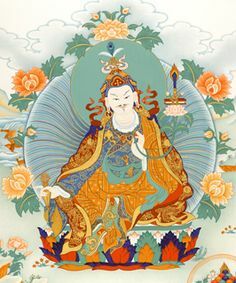 In this practice, which comes from the terma tradition of Terchen Barway Dorje, one visualizes oneself as Guru Rinpoche, cultivating pure view and boundless love and compassion for all beings. We include a tsok or feast offering in our monthly practice, which is considered to be one of the most profound method of accumulating merit and wisdom in accelerating our progress toward buddhahood. Click here to learn more about the meaning of tsok practice. Help Support Palchen Study Group Seattle!